Home | Clean Up Your Act! 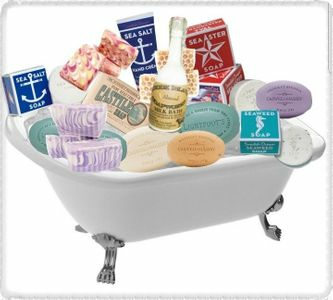 Ocean State Bubbles Soap, by RI Natural Soap Co.
Rhode Island boasts not only one of the oldest soap manufacturer's in the country, but also a community of skincare producers committed to the finest in natural bath and body products. Sample our beautiful handmade glycerine soaps, the rich emollience of our goatmilk soap, the balancing effects of our aromatherapy products and the soothing herbal preparations of RI Soapworks. Our body and bath products not only make you look good, but you can feel good about using them - no chemicals! Once you've tried them, you'll come back for more.